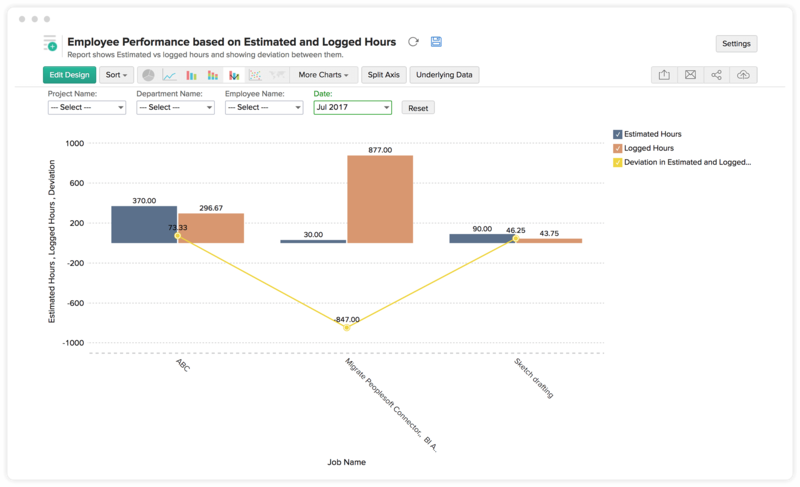 Find a simple yet effective way to optimize your workforce strategies with comprehensive analytics. Zoho People integrates with Zoho Analytics to help you know the details that matter the most, and to make sure nothing goes overlooked. 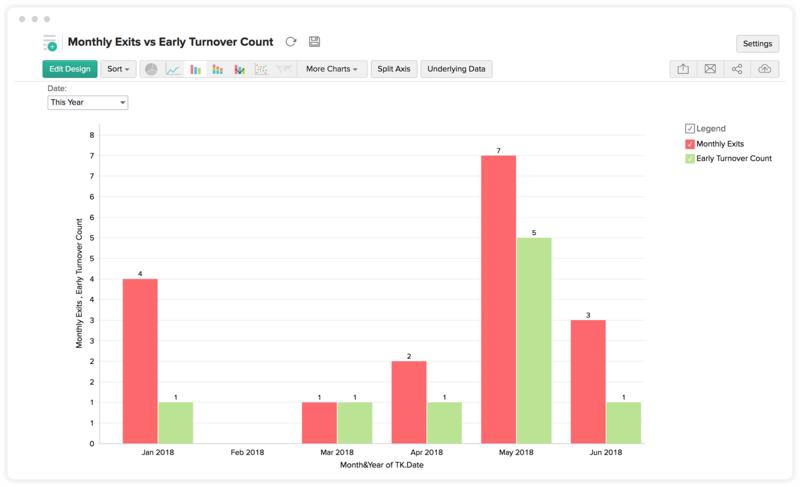 Get a quick view of each department's early turnover rate, so you can plan to create new strategies or tailor existing ones. 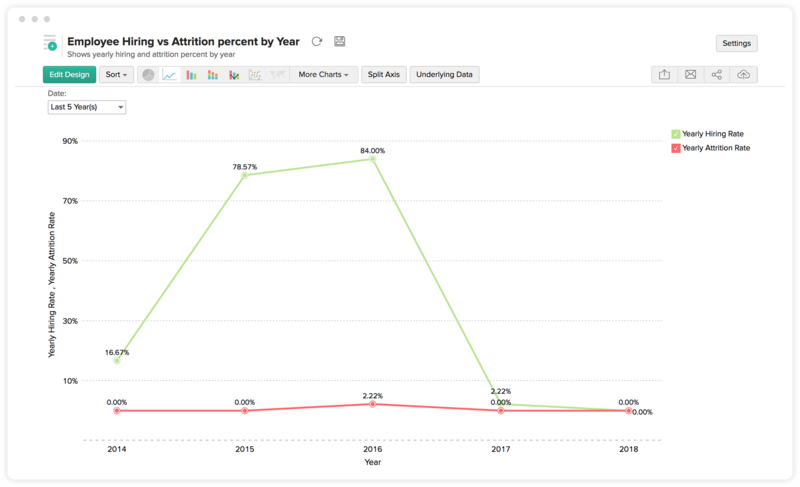 Analyze your organization's hiring rate in combination with its attrition rate and learn where your business stands. Also, take a quick look into monthly, quarterly, or yearly hiring and retention rates. Make plans for the next quarter and back them up with numbers that count. Dive deep into your timelogs and measure employee performance. Look into the estimated time for a project in combination with the logged hours and the deviated time. If you're not sure of your growth statistics, then this report is just for you. With our effective growth report, analyze your employee growth rate and make sure you're walking on a sustainable path. 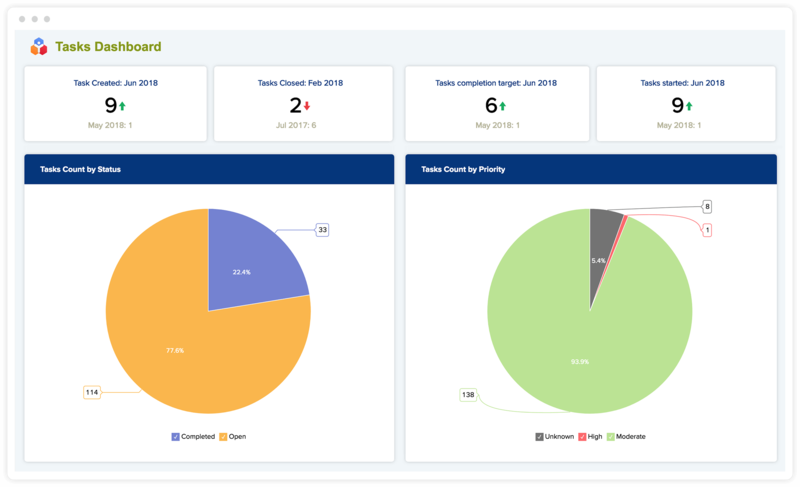 The task charts and reports give you a comprehensive view of the number of tasks assigned or completed, tasks that are overdue, task count by status, or even the top five employees with the most open or most completed tasks. 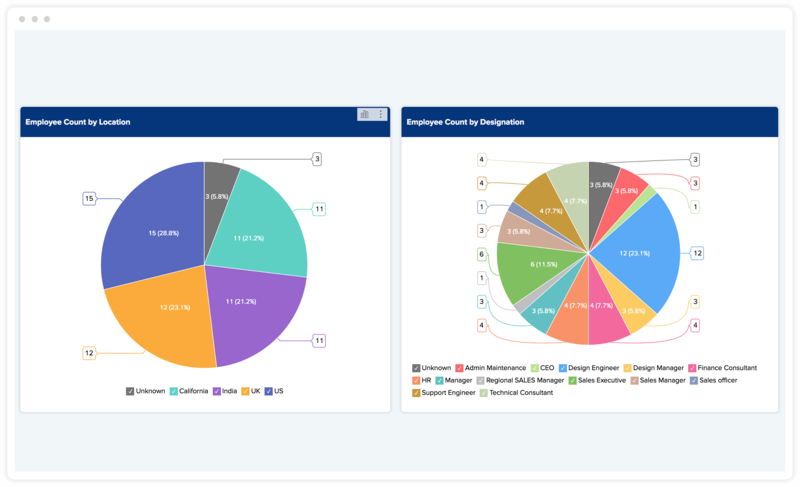 Designation, experience, status, department, location, and role-based employee reports are built to come in handy for your administrative purposes. These are just a few popular options from the plethora of reports that we've built for you to make those unimpeachable decisions. 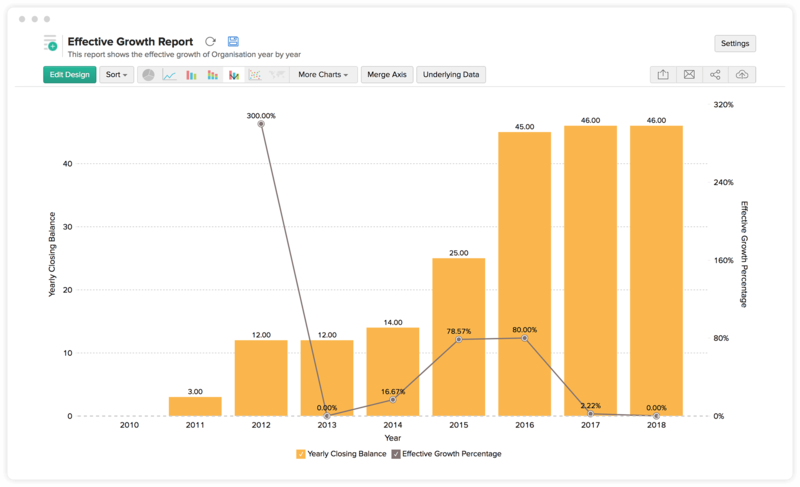 To get specific information, you can create your own custom reports too!